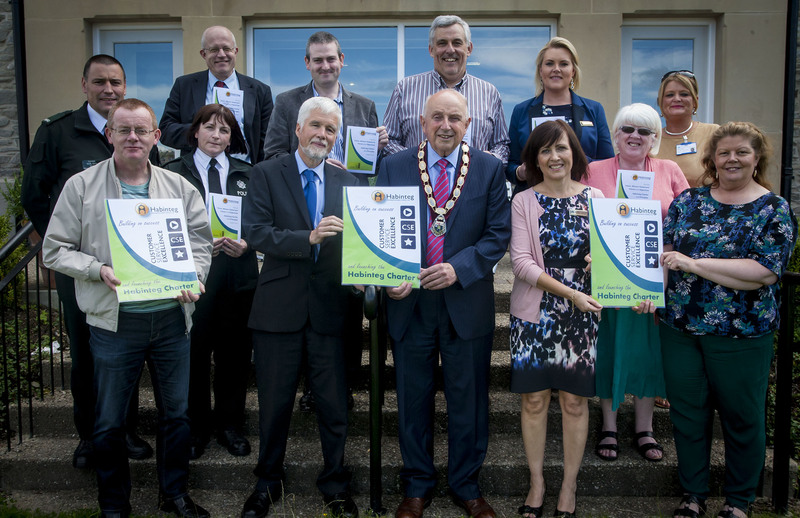 We are delighted, after lengthy consultation with members of staff, Board and Residents' Forum, to launch our new Charter 2015. The document embodies the views of all those who have helped with the consultation. It sets out a Value based ideal upon which the Association seeks to position itself. We are grateful to all those who have helped with this work and also to the guests - pictured - who assembled at St Columba's Heritage Centre in Derry for the launch event. The Charter builds on the success of our Customer Service Excellence assessment earlier this year. All people - customers, employees and colleagues - should, at all times, be treated with and treat others with respect. This is the overarching principle of our interactions with one another. People will be listened to, treated courteously, valued and supported. The work we do and the services we provide must fulfil our Mission Statement and be of the highest quality. We will build quality homes and provide a quality support service. Staff members will be suitably trained and professionally supported in their roles. Habinteg will be honest and open in its dealings with customers and staff members. Staff members will likewise be honest with each other, displaying integrity in the workplace and positively representing the Associaton at all times. We will treat all our customers and staff members fairly, without prejudice or preference and will oppose discrimination. We will actively promote good relations and regularly train and develop all staff members in line with our Equality Scheme. We will strive to ensure best practice and continuous improvement and embrace learning and new technology to best serve customers and enhance the working environment of staff members.